So recently I have been asking myself “What can I do to improve the oral health of our soldiers while we are on this deployment?” I’m the only dentist in the AO so making weekly trips to the smaller FOBs to set up a field dental clinic is difficult and my pamphlet on “Taking Care of Your Teeth While Deployed” turned out to be too difficult to have printed and distributed in mass quantities like I had hoped. I thought back to what I saw after the brigade got back from their last deployment. Although I was not with them on the last deployment, I was involved in a lot of their redeployment exams after their year in Iraq. The biggest issue I saw was, without a doubt, rampant decay. Big cavities. “What could I do to prevent deployed soldiers from getting so many cavities?” I asked myself. My brain replied: “FLUORIDE VARNISH!” The evidence is there to support its use, its easy to apply, I can train my two dental tech’s to apply it, and I have boxes of the stuff. 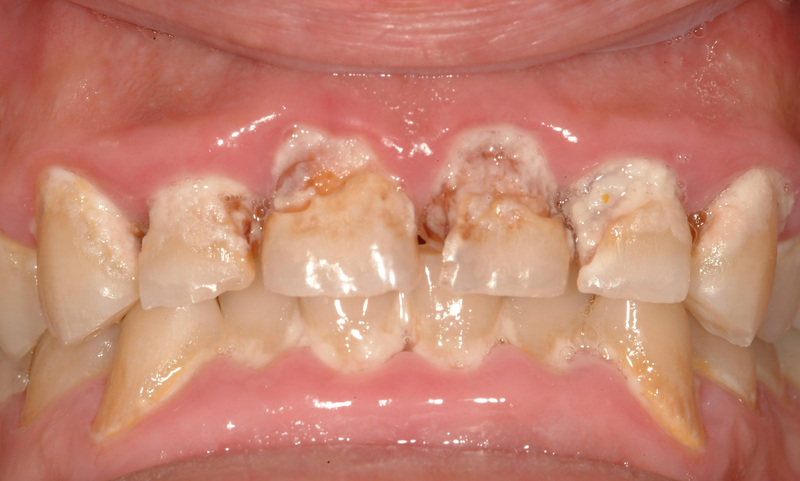 Although in the US, 5% Sodium Fluoride varnish is only approved to be marketed “for the treatment of dentin hypersensitivity associated with the exposure of root surfaces or as a cavity varnish,” it has been proven to be effective in treating high caries risk populations when applied every 3-6 months. So I decided to start a Fluoride Varnish Clinic. Starting next week, every weekday from 1530-1630 any soldier can walk into the clinic, get an oral cancer screening and have fluoride applied to their teeth. I contacted the FOB mayor to put it out in his next newsletter and I plan on putting up some posters around the FOB as well. I hope soldiers take advantage of this. This also gives me something really effective to do when I make my little trips around the AO. I’m actually really excited about this. I think that if I can get this varnish on to a significant number of soldiers teeth then I may be able to decrease the incidence of decay for our patient population. The photos include here are from a patient of mine from when I was an AEGD resident. The soldier had been on back-to-back deployments for several years and was just then getting to a point where he could get his teeth fixed. 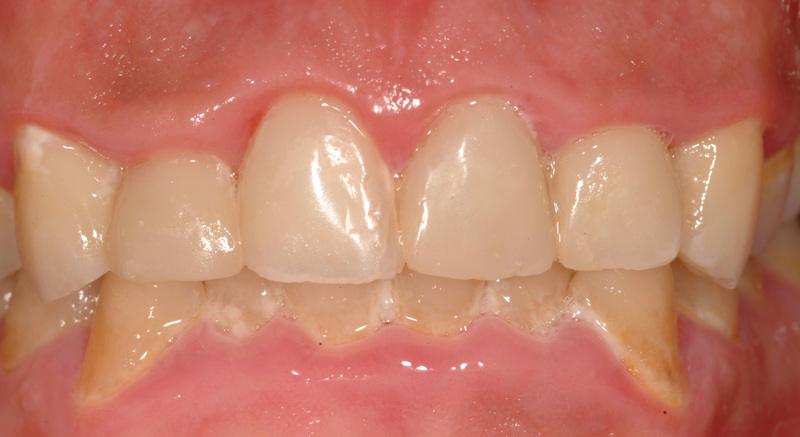 The top photo is before treatment, the bottom being after caries control and restorative therapy. Hygiene was still an issue, but at least he could smile in public.